In 2017 St Thomas More Church celebrated its 80th year. An Anniversary Book was published in 2017, highlighting and celebrating the work of the past Parish Priests. 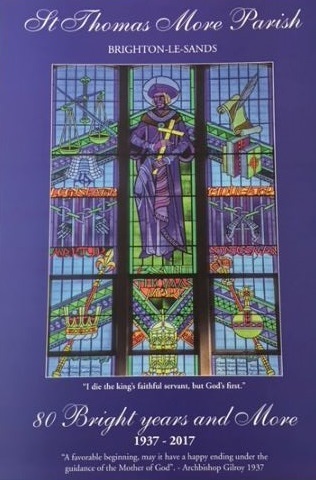 The Anniversary Book also is a lovely memento of photos that capture the beauty of the current church, highlighting the stainglass windows that adorn the two transepts and the nave. If you would like to purchase a copy of this Anniversary Book, please send your request to the Parish Office.